On the 1st November at 10 am At the University of Ulster at Jordonstown Belfast, in association with the Confucius Institute, the Irish Wushu Duan Wei Grading Centre in cooperation with the Chinese Wushu Association of China ran the Duan Wei grading for 1-3 Duan. 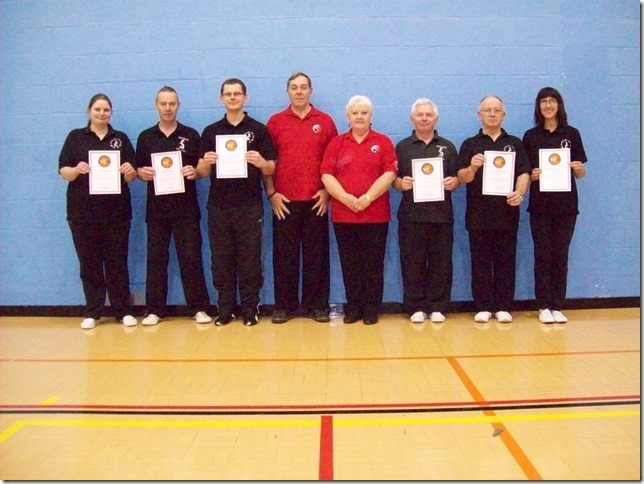 Bodyhealth TA CHI students gained 3 x 2nd Duan and 3 x 1st Duan grades. pictured below are the students with two of the examiners. 4 of the students are also TCUGB instructors. This entry was posted in news on 07/11/2015 by Admin.